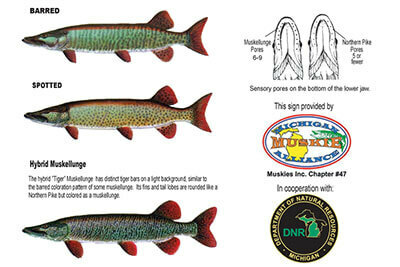 Michigan Muskie Alliance > Projects > Tips, Tools & Techniques > Why Catch and Release? 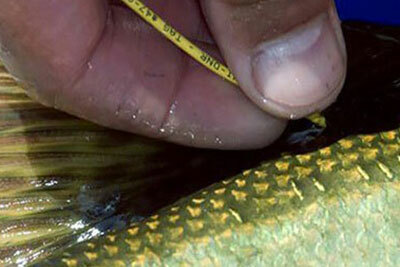 Catch and release is a relatively new concept to fishing, no matter what the species. Lessons learned in the past have given way to anglers being stewards of the resource and not just users. Anglers have realized that they need to practice selective harvest in all instances; limiting our harvest instead of harvesting our limit has become crucial. This means that, for some species like the muskie, near-zero harvest is required to maintain fishable numbers in many waters. Biologically speaking, muskies are always going to be the lowest density species in any water. Without self-limiting our take, we risk over-harvesting due to liberal creel limits. This not only affects the muskellunge fishing we hope to enjoy for many years, but can have a negative impact on an entire fishery. Muskies are an integral part of the fisheries where they occur naturally and where they have been introduced. In natural fisheries where the muskellunge population is much lower-density when compared to a stocked fishery, the importance of limited harvest increases dramatically. Habitat degradation through modern development where real estate is highly valued, muskellunge spawning success is frequently poor where they occur naturally. Reduced numbers of this apex predator negatively affects a fishery by allowing rough fish, such as suckers, carp and invasive species, to flourish. Most of these species compete directly with the most popular game and sport fish such as bass, walleye and panfish. 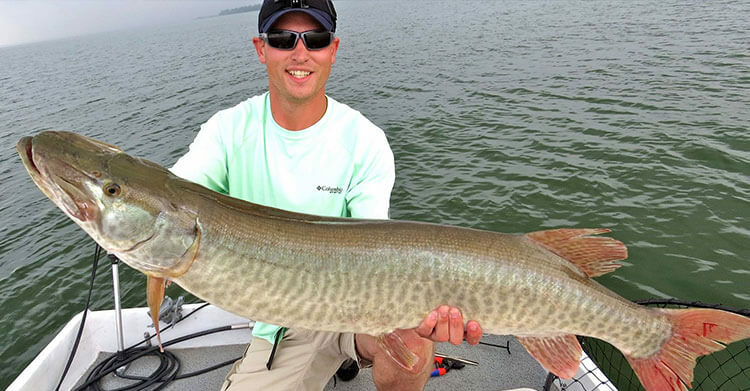 To compensate for limited numbers of muskellunge, catch and release has become imperative for the conservation of muskellunge populations, both natural and stocked. Legend would have you believe that the muskellunge eats everything in the waters where they are present. A pervasive misconception that has been passed on through generations is if you want better fishing for walleye, bass or panfish, you need to kill all the eating machines like the muskellunge. This sentiment couldn’t be farther from the truth; some of the best and most-balanced fisheries in North America contain healthy muskellunge populations. Studies on muskellunge feeding behavior shows they are very selective in their forage preference, and bass, walleye and panfish are not their preferred forage. In fact, muskellunge are a much needed apex predator limiting rough fish numbers in waters where the rough fish compete to the detriment of other game and sport fish. It is up to every angler to make their own decision on whether to catch and release or to harvest; but keep in mind the muskellunge is not managed as a game fish (for the table) like salmon or walleye. Muskellunge are managed as a trophy fishery, and as such it is up to each of us to determine what “trophy” means. Trophy, to most anglers, means a fish that is near the maximum size for a given species; harvest size limits don’t take this into account for most species, including muskies. Trophy size for each species varies: for a walleye this might be 10 pounds, for a bass maybe 6 pounds for a smallmouth and 8 pounds for a largemouth. Muskellunge are one of the slowest growing and largest of our freshwater fish; they can survive in most waters beyond 18 years of age. For a female muskellunge, this means a typical length of 50-55 inches. While most muskie anglers view 48-50 inch muskellunge as trophies, nowadays this doesn’t necessarily mean they are harvesting these fish. Modern taxidermists have learned over the last 20 years the art of fabricating realistic reproductions which have replaced the need to harvest a muskie to have a trophy mount. Two taxidermy artists in particular have set themselves apart from all others when it comes to taking the photo of a released muskie and giving you a reproduction for your wall that is better looking and more durable than any traditional skin mount.